Now, for us Brits if you want to order some cash ready for a expedition to another country, what do you call this type of business? A foreign currency exchange shop? or maybe the more upmarket French sounding ‘Bureau De Change’ kiosk you might get inside a department store like Debenhams? Well what was the name of theses businesses in the times of bible? 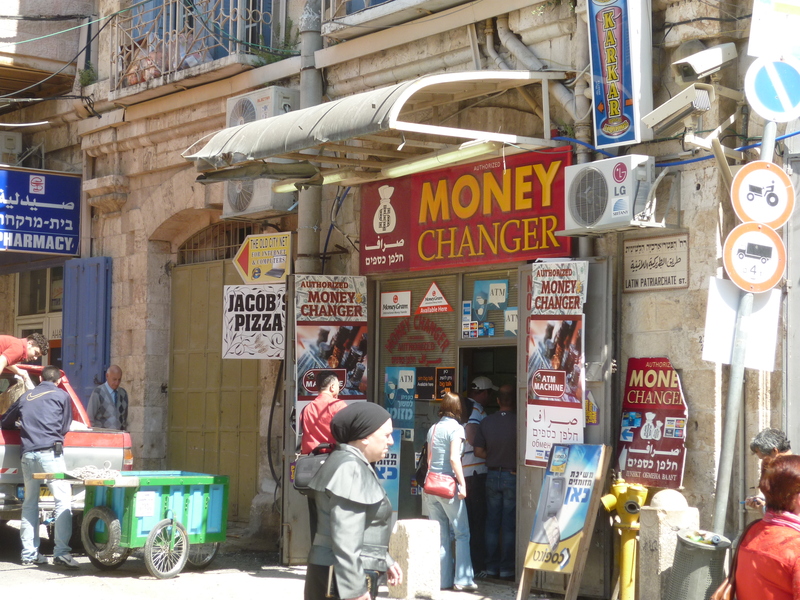 Well some things have stayed the same in Jerusalem, nice and simple, ‘Money changers’ This one is right inside of the famous Jaffa Gate. The money changers in the Bible, as far as I understand, charge loan shark style rates to change money into the “Temple” money. They were making money out of the worshipers of God. The problem was exploitation, not just money exchange, as far as I can see.